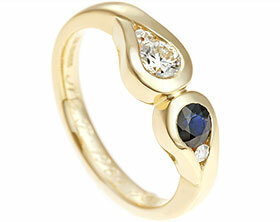 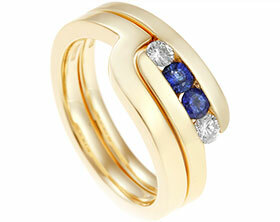 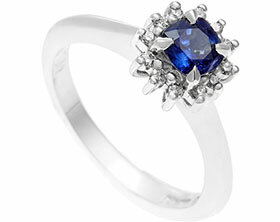 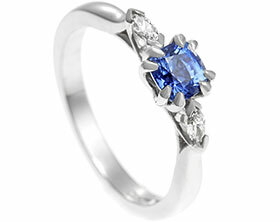 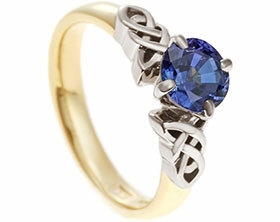 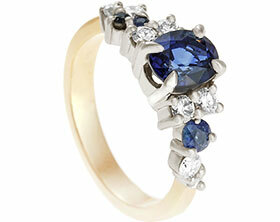 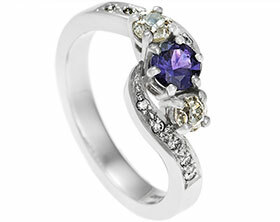 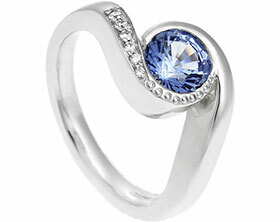 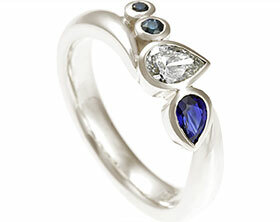 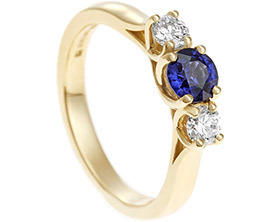 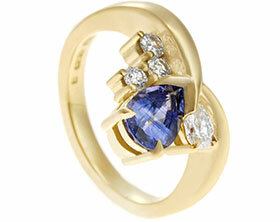 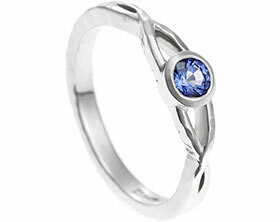 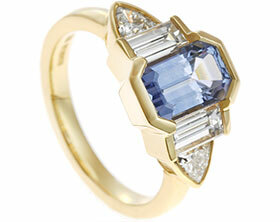 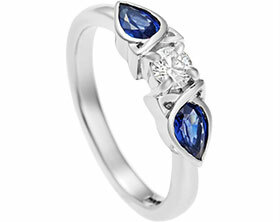 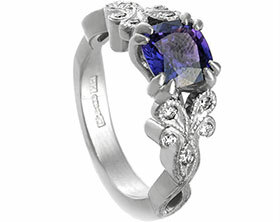 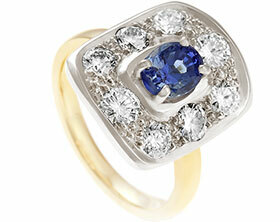 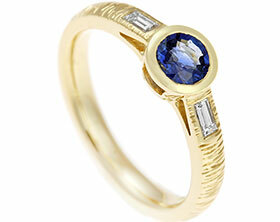 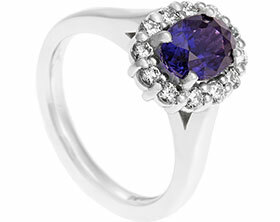 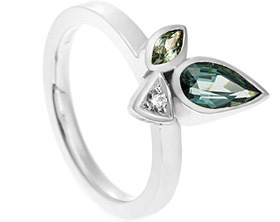 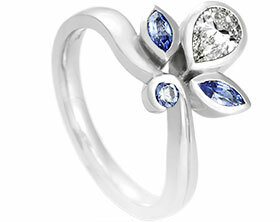 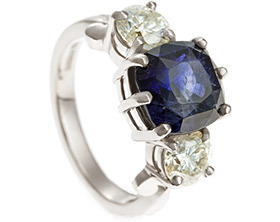 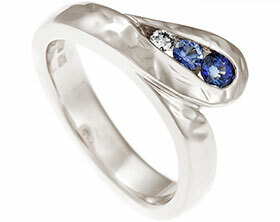 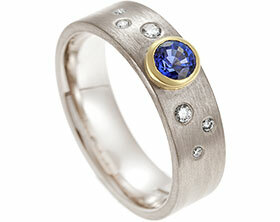 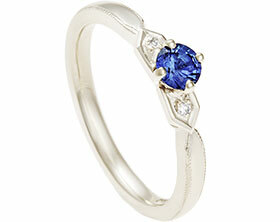 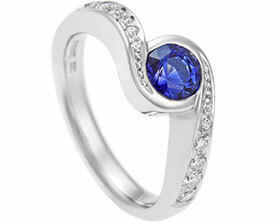 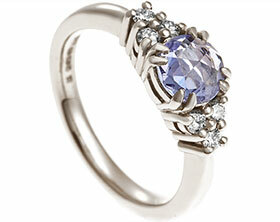 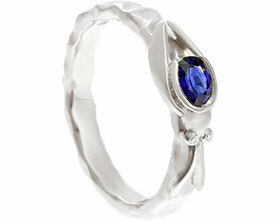 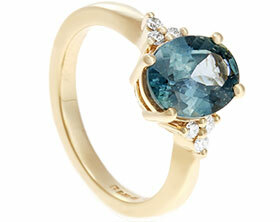 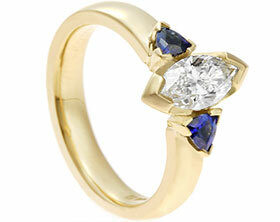 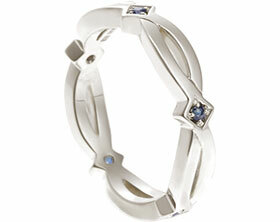 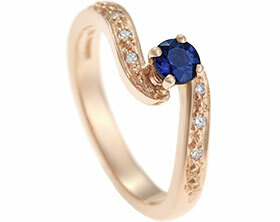 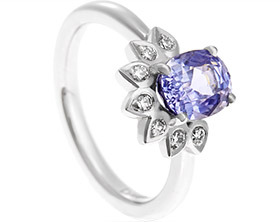 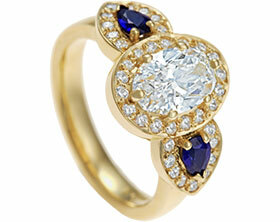 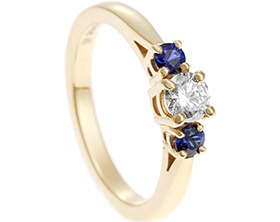 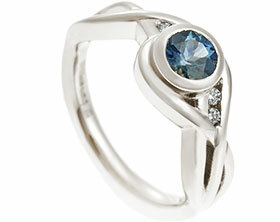 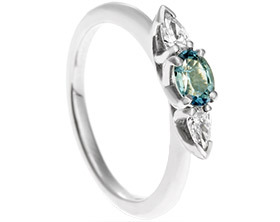 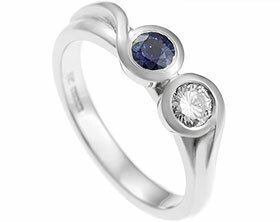 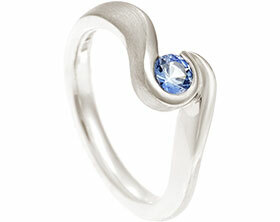 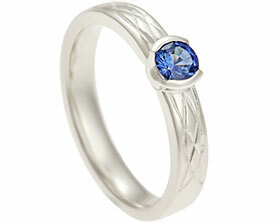 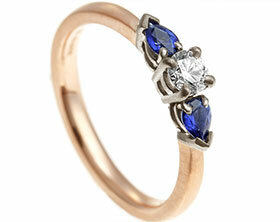 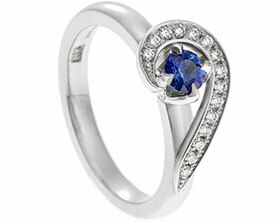 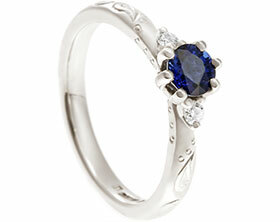 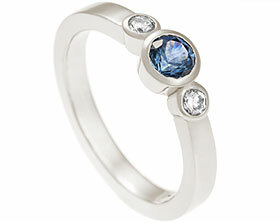 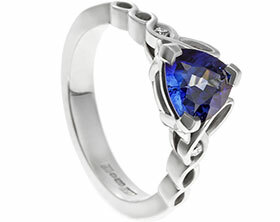 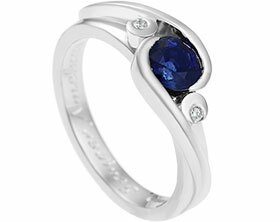 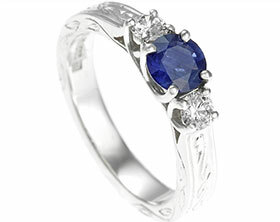 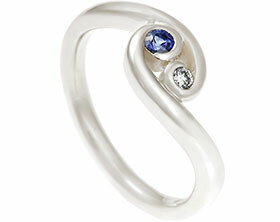 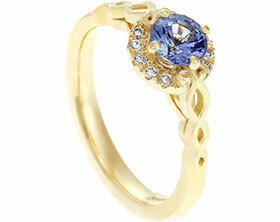 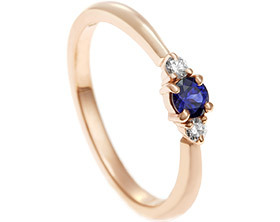 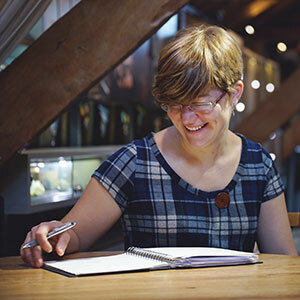 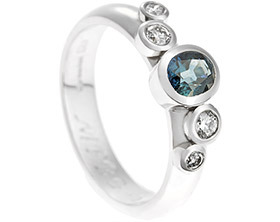 Rachell loved the idea of a delicate engagement ring with a pear shaped sapphire as the focal point. 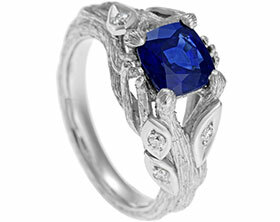 She wanted a vibrant blue stone so we sourced a selection for her to view. 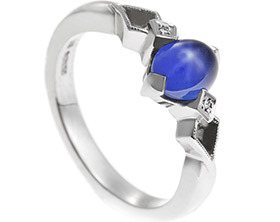 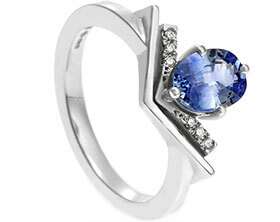 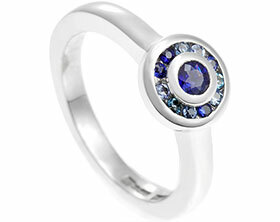 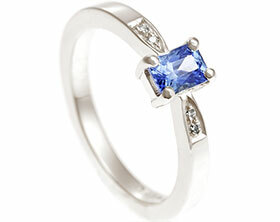 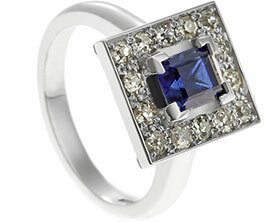 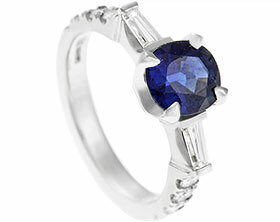 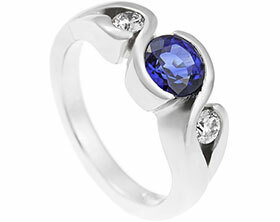 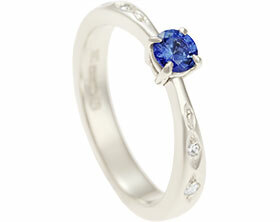 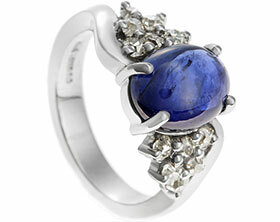 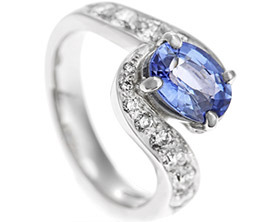 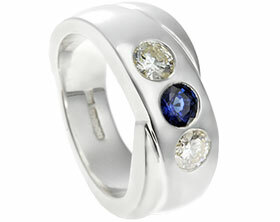 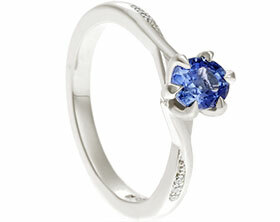 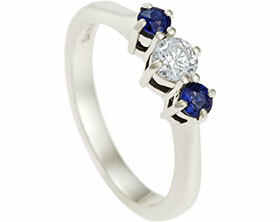 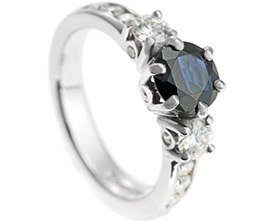 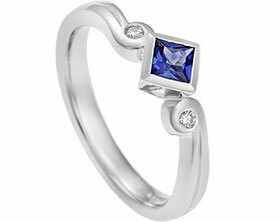 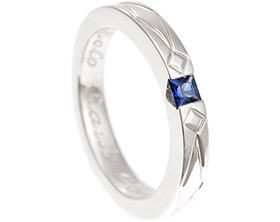 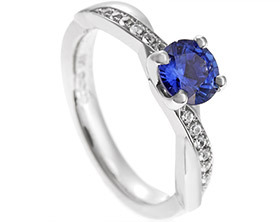 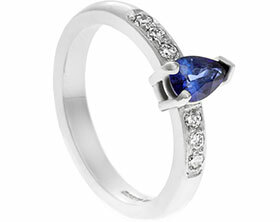 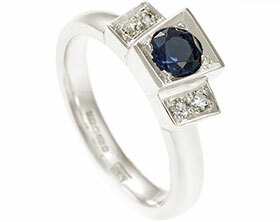 She chose this beautiful 6x6.5mm (0.97 carat) fine blue sapphire. 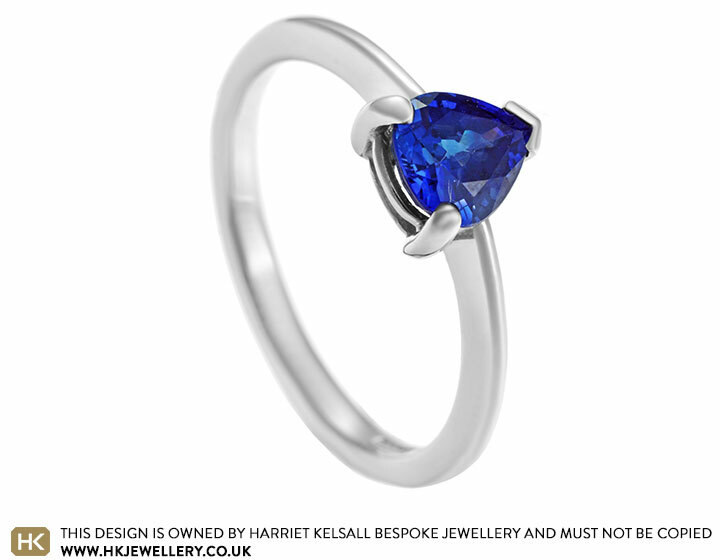 The delicate setting shows off the sapphire beautifully and the shape is emphasised by the delicate, handmade tapering platinum band.